There’s a curious little battle going on right now in the FCC. Sky Angel and the Discovery Channel has brought into question the whole understanding of a cornerstone of the entertainment industry for the last half decade. It all concentrates around a M.V.P.D. and who can claim to be one. Never heard the term? You’re probable more familiar with them under the names: Comcast, U-Verse, Time Warner Cable, or DirecTV. M.V.P.D. stands for “multichannel video programming distributor,” and controls who, and how, consumers can get their TV in the US. But this recent upset in this market might change how we all thing about it. And Apple might be in a perfect position to take advantage of it depending how it turns out. If the FCC deems that there are ways for video providers to become M.V.P.D.s without having to control the transition of the data as well, this could have very interesting results for whatever the plans for Apple’s (possible) upcoming AppleTV offering. They wouldn’t have to fight with channel providers about getting their content on Apple’s devices. And the channels wouldn’t have to worry about offending their traditional carriers due to it being “forced” to sell to Apple. 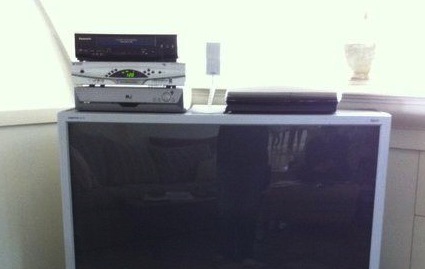 Apple could be positioned perfectly to put a set-top box in every home to replace our current TV setup. It could completely change the way we think of TV. But I’m getting a bit ahead of myself. First 2 short back stories how this came to be. Way back in 1984 there was this upstart thing called Cable that appeared on the market to threatened to upset the entire TV industry. Up till then it was very straight forward what TV was. Your broadcast company had a TV antenna, sent out a signal, and people tuned their antenna to that frequency to choose what channel they wanted. The FCC controlled the airways, and as such so did the broadcasters. But Cable didn’t broadcast over the air, nor did they offer just 1 channel. People could pay them to get a whole bunch of different broadcast channels, not directly from the TV channels source themselves. The FCC had to come up with rules that applied to these new companies supplying multiple channels. They had to make up rules of how these multi channel provider companies would work with the channel content companies. 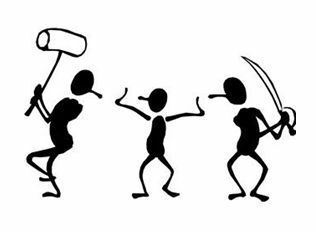 Luckily they only had to deal with this single new subset of companies and came up with rules of what they could and could not do, as well as what they were required to do. And there was peace in the land. Well for a while at least. Then came 1994 were the FCC had to define “channel”. Things like Satellite streams started muddying up the waters, and they had to once again look at how things were set up. They determined even though they weren’t using cables to deliver their channels, they did have a method of distribution, so they were granted the same rights as the cable companies. It became even more complicated when Verizon and ATT started offering TV over a IPTV (Internet Protocol Television). Again the FCC agreed that they could be considered M.V.P.D.’s. So what does this have to do with Sky Angel? 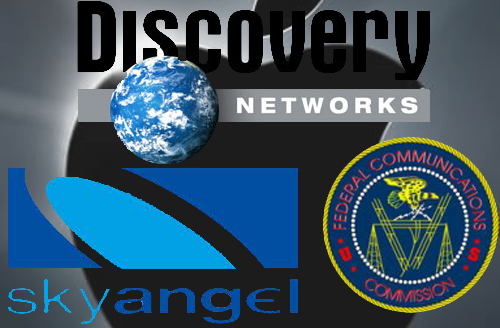 Sky Angel uses an IPTV setup (akin to the Verizon or AT&T setup), although they are not actually considered an M.V.P.D. Their customers are required to have a set-top box to connect to the TV in order to get the 80+ channels they offer. As far as the consumer was considered it is the same as any other TV provider. The only difference was you paid one company for your internet, and another for your TV. All the channels they had contracts with understood how they provided their content. Part of this channel setup included a contract with Discovery setup in 2007 to deliver all of their channels. This went on for a few years, until Discover Channel recently decided to terminate their agreement early in late 2009/early 2010 (contract was up in 2014) claiming “concerns” with the company. When pressed for what the concerns were, they simply stated they were concerned about how the system transmitted the content, a system that hadn’t changed during their time as a channel on the Angel Sky network. Sky argued that they met the qualifications of what a M.V.P.D. should be and therefore Discovery should not be allowed to back out of their agreement. The FCC decided to not comment on the issue, saying that Sky Angel didn’t meet what a traditional M.V.P.D. was and therefore they would not interfere. In fact the FCC refused to even comment on the arguments Sky Angel made that they should be allowed. 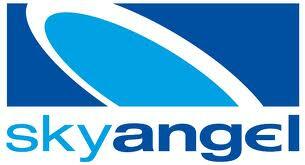 It was only recently that Sky Angel won a federal case that forced the FCC to have to respond to their complaints. This prompted the FCC to look into rethinking what might be considered a M.V.P.D. Sky Angel argued that the term was meant to be a broad understanding of what a channel provider should be, not one that would limit it. The FCC up to now has been hesitant to redefine the system as doing so will greatly change the TV landscape. However this recent court order has now opened up the issue. And they’re looking for input. So now that you have a rough understanding of what happened, what does this all mean? At the moment companies are weighing in with their opinions. Not shockingly, traditional companies (Cable Vision, Time Warner, Direct TV) are all arguing that M.V.P.D.s should be narrowly defined to those that control the connection to the consumer (whether via cables, or satellite feed). Other companies that offer both traditional TV as well as VOD (Video On Demand), argue that traditional systems should be in place and the FCC shouldn’t touch the internet part and let free market decide things. IPTV companies are kinda hesitant on the matter as they would love to have the benefits, but are afraid that being deemed a M.V.P.D. will force them into regulations they aren’t ready for yet. Now it’s possible that the FCC would have just ruled in this particular case, but they are set with defining the rules as technology changes. So they’ve open up the dissuasion for all to comment on the matter and will be weighing in with a decision. The online MVPD needs to be able to lock things down to a geographic location. (aka not allow other countries to use the service) Theoretically this would also apply to local content as well (for local channels & black out functions). The online MVPD must be secure (for transmission of data and purchases). The online MVPD must be able to offer tiered services, including the minimum service tier, and otherwise may offer Pay, VOD and PPV. If the online MVPD desires to carry television broadcast signals, it must have retransmission consent from each such broadcast station. The online MVPD must pay compulsory copyright license fees based on the tier of carriage revenues. The online MVPD should have ‘must carry’ obligations upon reaching 5,000,000 customers if it wants to carry local stations (same as normal M.V.P.D.s). That all sounds fairly reasonable to me. But this would be a huge threat to traditional TV providers. Already many users are leaving cable and relying on on-demand services such as Hulu and Netflix, or pay for content services such as the Apple or Amazon Stores to get their video. Having an online distributor able to offer everything TV… that would be one more nail in the traditional TV coffin. What does this mean for Apple? 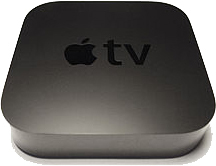 Imagine this scenario: Instead of getting your TV from your satellite or cable provider, you get it from an Apple set-top box – the AppleTV. Apple wouldn’t have to fight an uphill battle to get the channels, they’d be treated like any other provider. Currently cable channels have been wary of joining Apple as they don’t want to upset their main bread and butter – the cable and satellite companies. But with a ruling like this, all the burden would be removed from their shoulders and they could just say “well the government is forcing us to play nice”. You would probably still have different tiers and channels you can select as your plan. However, you most likely could also choose certain shows from channels you don’t subscribe to be purchased (in case you just want Boardwalk Empire, instead of subscribe to all of HBO). They would end up in the same place and you wouldn’t have to figure out what show was where. I’m not sure if DVR functionality would be built in (although would be nice) since all the content would be available on the fly from the Apple store. But things that are DVR’d could live side by side with the content you buy. Missing an episode from the DVR? Just click 1 button and fill in the missing episodes. You would have the entire Apple movie section at your disposal, similar to the way companies have VOD now. You could also still subscribe to Netflix and have the entire back available catalog on demand. You could have full interactive Sports channels like Apple already has for NHL and the MLB sports. They could even be part of different packages you could buy. 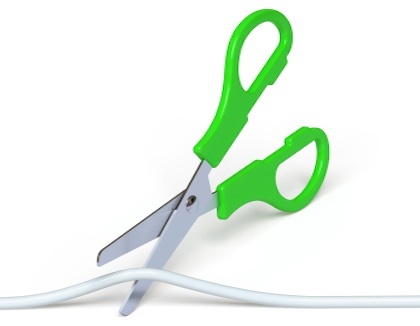 Apparently live sports is one of the biggest things holding back cord cutters. Getting sports on “real TV” in addition to these interactive “apps” would be a huge plus over traditional TV. All the “smart TV” features would also be there including YouTube, Airplay, website apps (Wall Street Journal, NY Times, etc), music, and photos. With iCloud integration you could have all your content synced up with your iOS devices, and vice versa. Your media center becomes 1 box, instead of a collection of a bunch of different devices trying to work together. Apple could have a new revolutionary TV… all without having to manufacture an expensive, and hard to move (and upgrade) device. People rarely spend the money to upgrade their $1000+ TV, but a small $100-$200 device? Simple. One little hockey puck to control everything. You could even use your iOS device to control the whole thing if you wanted (similar to AT&T Uverse apps). So a wonderful future? Or same old, same old? So will this happen? No idea. It all depends on the FCC at the moment, and who they choose to listen to in the comment period. It would be nice for Apple to submit their own filling comment on the matter, but don’t hold your breath. This would be a huge tipping of Apple’s hand if they pushed the FCC one way or another, not to mention risk alienating the fragile balance of video distribution they currently have in place. Which would be very risky if they ruled to keep things as is. On the other hand, if they do rule in favor of creating online internet M.V.P.D.s. there’s no way I don’t see Apple not taking advantage of this. They probably even have things in place on the chance it does. It’s been long rumored Apple has been trying to work with cable channels to get their content and this would be huge win for them. And with Tim Cook starting to get a bit more familiar with the government perhaps Apple might start to have some sway in the way the vote. Will we see it? Who knows. Only time will tell. But if it does you’ll most likely see tons of people drop their current TV plans for an IPTV option. At what point does your eyes stop caring?